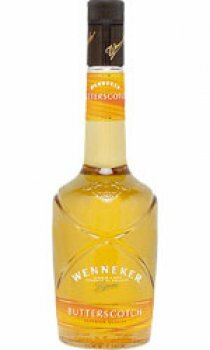 Wenneker Butterscotch is a very friendly liqueur with a full butter flavour and freshly caramelised brown sugar. The flavour will certainly remind you of something like Werthers original candies. The creamy caramel flavour makes this liqueur exceptionally suitable for cocktails and desserts. Wenneker Butterscotch is also a delicious digestive.